As you may have gathered, Apple lifted the curtain on quite a lot of new stuff a few hours back. The stars of the show were unquestionably the new iPhone 7 and iPhone 7 Plus, both of which pack a slew of enhancements. Among the changes, Apple has bumped the storage tiers up to 32, 128 and 256 GB, which is obviously fantastic news. Since 16 GB is just not viable for most given the wealth of content that adorns the modern smartphone, Cupertino has also ditched the 16-gig baseline across the iPad line. It's good to see that the 32 GB versions are the same cost as the 16 GB were before the changes. Additionally, 64 GB is also out, though prospective buyers shouldn't be too upset by the 128 GB slabs that replace them for the same price. As you'll notice, a good proportion of the iPad line has been treated to a price deduction in price, with up to $100 to be saved in some cases. With these adjustments, will you be grabbing yourself a new iPad? Let us know via the comments. This is a great move by Apple. My body is ready. Mxy, your body is ready for what?? Which organ are you going to cut to help finance your iPhone? no price change on ipad pro at all! 16 GB on a tablet is a joke so good move. 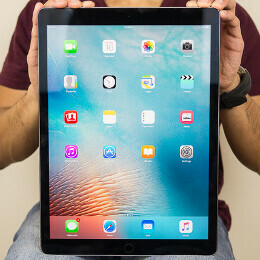 Tablets are media devices and apple finally realized.